Richter partnered with the specialists at CAD microsolutions on the addition of SOLIDWORKS software to provide us with an intuitive 3D development environment to help maximize the productivity of our design, and quality resources. The data exchange capability SOLIDWORKS provides allows us to translate a wide range of data and CAD formats so that anything from a DWG or DXF to a PDF or JPEG file can be quickly used to create a full 3D model. Using this technology we are able to quickly and easily convert a customers sketch and generate a full 3D model to share with them. This provides a visual reference for design and revision discussions, ensuring the finished product is what the client needs and also allows us to turn around accurately costed proposals very quickly. We can now able to create better designs, faster, and more cost-effectively, and have reduced the number of physical prototypes required. Increasing our design capability has allowed us to streamline our product development and ensures we manufacture correctly the first time, reducing the time to product completion and increasing customer satisfaction. Our addition of SOLIDWORKS Inspection software simplifies our inspection document creation to help streamline our inspection process and improve quality. SOLIDWORKS Inspection simplifies the creation of inspection documents, and performing in-process and receiving inspection. Measured inspection values are entered directly into the software to aid our quality inspectors, virtually eliminating errors and ensuring parts are within specification, and optimized for both fit and function. 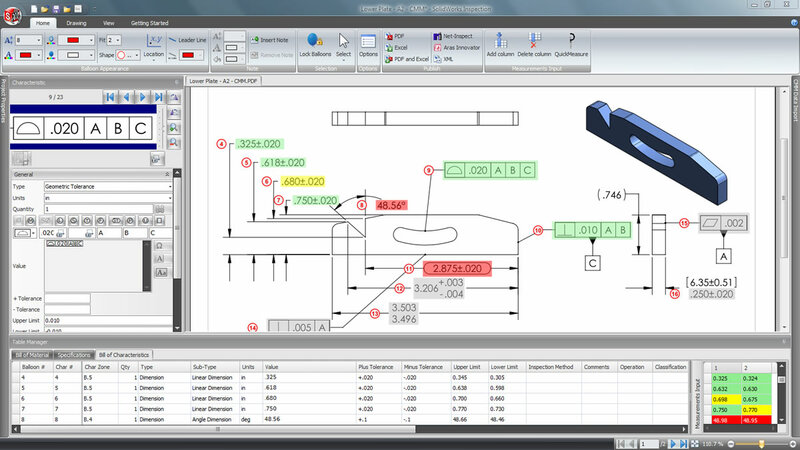 The Optical Character Recognition (OCR) feature within SOLIDWORKS Inspection allows us to take customer drawings that arrive in PDF or TIFF formats and read and identify the dimension, plus/minus tolerances, and the type of dimension reducing both manual input and errors. 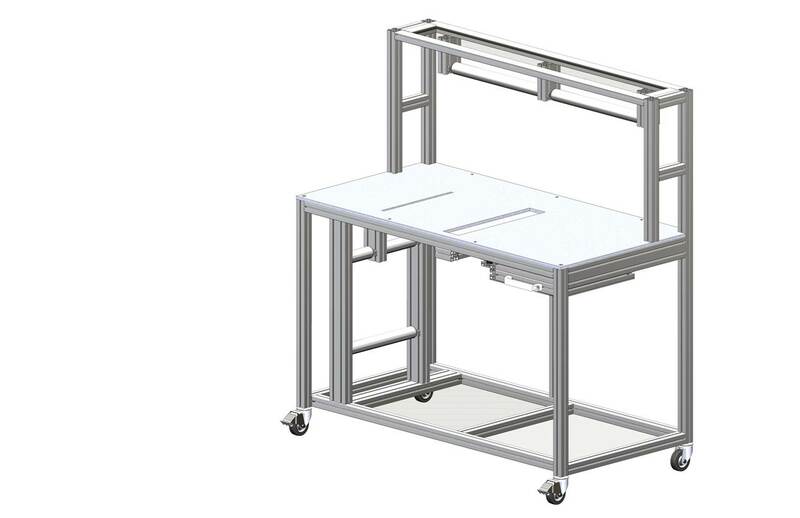 SOLIDWORKS Inspection drastically reduced the time needed to generate inspection reports. In just a few clicks we can create industry-compliant inspection reports saving time, lowering costs, and eliminating the bottleneck in quality inspection, increasing throughput in manufacturing. Click to view the contact form!